Spring and summer break are just around the corner and I know a lot of our parents are looking for some local, inexpensive family outings. Well, look no further than the Museum of Natural History. 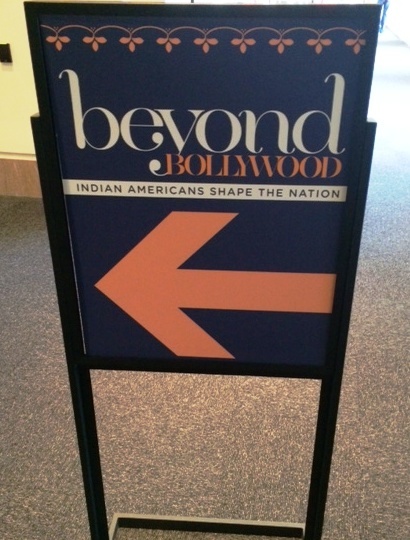 I am sure a lot of families have done it’s most popular features but, for this visit we are headed up to the top floor to Beyond Bollywood: Indian Americans Shape the Nation. This jem has a lot to offer the younger child in your family. First, it’s spacious, colorful and inviting. Read our recent blog on environment – it makes a difference. Second, there are a lot of mirrors. From infants to preschoolers, mirrors are fascinating portals to understanding more about themselves and how their bodies work. One of SEEC’s classes practices their yoga. Finally, there are interactive sections where you can listen to music, watch a video and sit at a table set with Indian food. This will give your child different types of sensory input and provide a chance for some dramatic play. 6 months – 18 months: Babies are learning to recognize themselves and their families. Take the time to look in a mirror and identify baby and yourself. Describe your features and talk about your similarities and differences. Head over to the family photos and pull up a family photo on your phone. 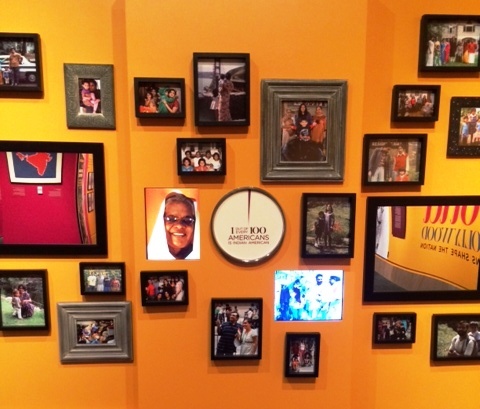 Compare it to the families on the exhibit wall. At home, share a book about families or sit down and make a toy family. This is a great opportunity to begin talking about how not all families are the same. Even at such a young age, you can begin to lay a foundation for understanding and respecting diversity. 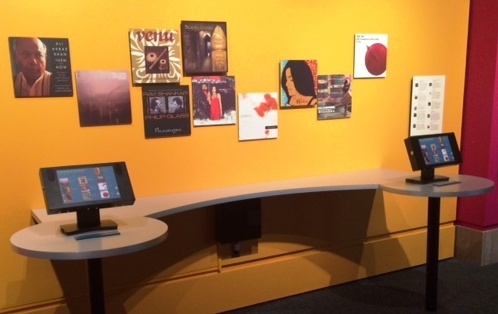 19 months – 3.5 years: Toddlers love music and dancing, so it is great that this exhibit features a listening station. Pick a couple of tracks and see if you can compare their tempo or guess the instruments. You might simply ask which their favorite was. Give them a chance to dance to the music and then go to the outer hallway and see the images of Indian dancers. Notice how the dancers are moving their body and what they are wearing. Build on the experience at home by listening to more Indian music or discovering that of another country. Look up a few videos highlighting different Indian dances and watch them together on a tablet or computer. Similar to the infant experience, introducing your toddler to the arts of other countries will help them gain an appreciation of their culture and, those of others. Preschoolers – Early Elementary: A great way to connect with young children is to begin with their personal experiences. Since food is universal, the table would be a great place to begin a conversation about the foods we eat at home or at our favorite restaurants. 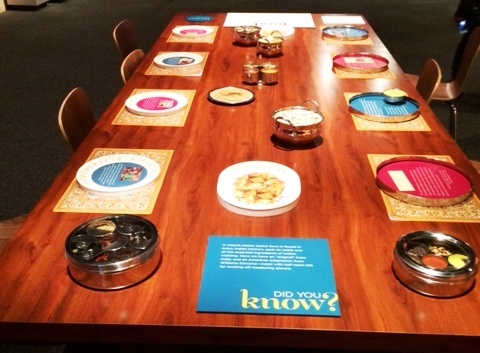 The exhibit can teach children about food from India AND about the many cultures that contribute to the food we eat in the United States. If food doesn’t interest your child, consider talking about some of the notable Indian Americans like football player, Brandon Chillar or fashion designer, Naeem Khan. Finally, consider going to visit the Freer and Sackler’s collection of Indian art on another visit or grabbing a bite of Indian food at the Natural History’s café. Like with any visit, keep in mind some of these helpful tips for visiting a museum with your kiddos and enjoy!! This entry was posted in Families and Museums and tagged Bollywood, Early Childhood, Early childhood education, early learning, families, families and museums, Freer and Sackler, India, Museum Education, museums and early learning, national museum of natural history, Smithsonian, Smithsonian Early Ernichment Center, spring break, summer break, young children and museums. Bookmark the permalink.